With over 150 years of history, Hunter has been able to blend functionality and fashion in a collection that perfectly resembles the British style that never goes out of fashion. 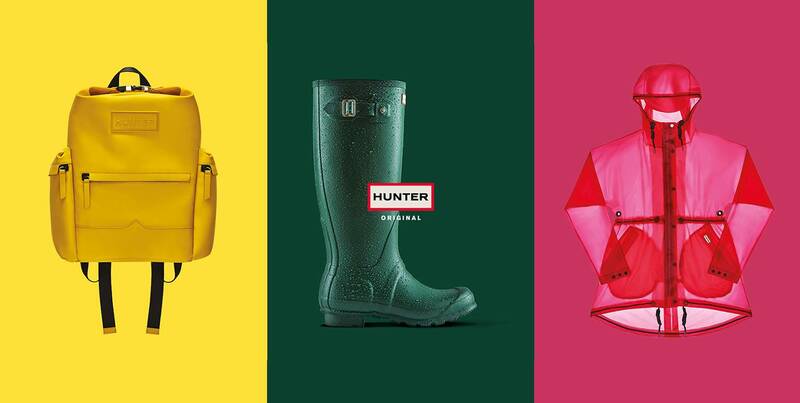 Since 1850, Hunter has designed and produced natural rubber boots, combining the traditional manufacturing processes with new and innovative production techniques and material treatments. Currently, the brand has a wide variety of products that stand out in any situation, from the countryside to the city, passing through the most prominent fashion shows and music festivals. Hunter holds two Royal Warrants by Appointment to HM The Queen and HRH The Duke of Edinburgh as suppliers of waterproof footwear. Hunter received the first in 1977 from the Duke of Edinburgh and the second from HM The Queen in 1986. OUTDOOR KING S.A.U. has been the official distributor of HUNTER in Spain, Portugal and Andorra since 2007.